Bud Light is the official beer of the NFL. You won't be able to keep that out of your mind as you watch the game on Sunday. Why? Because Anheuser Busch/InBev will spend enough money to make sure you don't. You may recall last year, when the good folks at AB/InBev launched the Bud Light Platinum brand. At 6% ABV, Bud Light Platinum certainly didn't belong in the light category. But when the rest of your portfolio is in free fall, you stick with what does move and what still moves is Bud Light. Thus, Bud Light Platinum. I've tasted BLP. I don't think it's a terrible beer. But I always thought the marketing was a mess. People looking for light beer aren't generally looking for a beer with 6% alcohol. To prove that boatloads of money can overcome bad marketing, AB/InBev spent millions to launch the brand. And it worked. 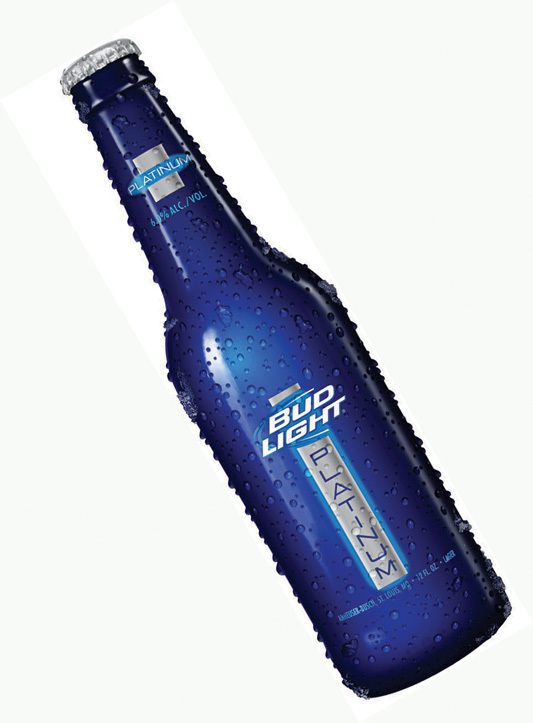 BL Platinum was fairly successful with younger drinkers who had moved on from light beer to the hard stuff. Some were sucked in. Here in Portland, BL Platinum bombed nicely. You don't see much of it on store shelves. Craft beer is king here. Anything with an Anheuser-Busch label tends to meet stiff resistance. We're odd that way. Nonetheless, the Bud Light Platinum campaign reveals where Anheuser-Busch is headed as it attempts to hold onto market share. They're going after younger beer drinkers who, even if they may be disenchanted with light beer, have yet to fully discover craft beer. The thinking is that these are people who can be swayed with slick advertising and a slick product. According to Ad Age Media News, CBS (with easily the worst coverage of the NFL-affiliated networks, in my view) has sold out its Super Bowl ad inventory. Go figure. At $3.7 to $3.8 million per 30 second spot! As usual, AB/InBev is the biggest spender, having purchased three 30-second ads and three 60-second ads. They don't mess around. The first ad you see after the game starts will be for Bud Black Crown. You may recall Budweiser's "Zip Code" series, where their breweries in different parts of the country brewed specialty beers. The beer brewed in Los Angeles, known as 91406, is being rebranded as Black Crown and is headed for national release in a few weeks. 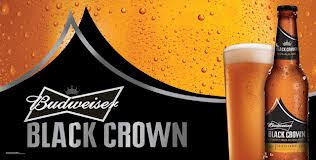 A second ad for Black Crown will run in the third quarter. Another new product gets a 30-second spot in the third quarter. 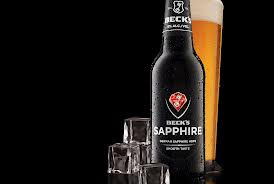 The beer is Beck's Sapphire, brewed in the United States...with German Saphir hops they claim. Don't be confused by the name...this is a pilsner. Like Bud Light Platinum, which came in trendy blue bottle, Sapphire relies on its own special bottle...a black one. The bottle evidently took two years to develop. No word on how long it took to refine the recipe for this stuff. If you have to ask, you probably don't want to know. These beers have lots in common. Both are higher in alcohol than existing precursors: Sapphire (6%) vs. standard Becks (5%) and Black Crown (6%) vs. regular Bud (about 5%). They also cost more. As with Bud Light Platinum, AB/InBev is going after younger drinkers with a hipper and higher in alcohol message. We'll also get a couple of new Bud Light ads, set to run in 60-second spots during the second and third quarters. These ads have been fairly entertaining at times over the years and I suspect the news ones will fit that bill. 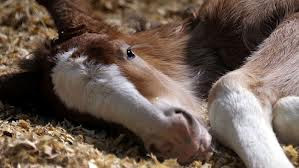 Finally, they're pulling out the warm and fuzzy card with an ad devoted to Budweiser's Clydesdale horses...there's a new foal and they want your help naming it. Setting aside all that, the overarching theme here is money. Lots of it. If you can't win people over with products that stand on their own merit, advertising is the answer. AB/InBev has money to burn and they're going to burn a chunk of it (about $17 million) in an effort to convince Super Bowl viewers that they are a vibrant, relevant brand. Read into that whatever you want. The fact is, the macro brands are all about image and style. That's been their theme for decades and they aren't moving away from it. They produce a middling product and leverage the hell out of it with advertising. That was a viable strategy until recent times, when they started losing market share to craft brands and other segments (wine, spirits, ciders). AB/InBev's response to this challenge has actually put a new twist on the old strategy. First, they produce fake craft beer and spend lavishly to win over (primarily) young drinkers. Second, they gobble up respectable brands and hollow them out by shifting production to giant factories and using cheaper ingredients. I've talked about this before and it is well-known in beer circles. You really have to wonder what would happen if these guys ever got truly serious about making good beer. It isn't likely because they are far more about marketing than they are about good product. Nonetheless, you have to wonder. 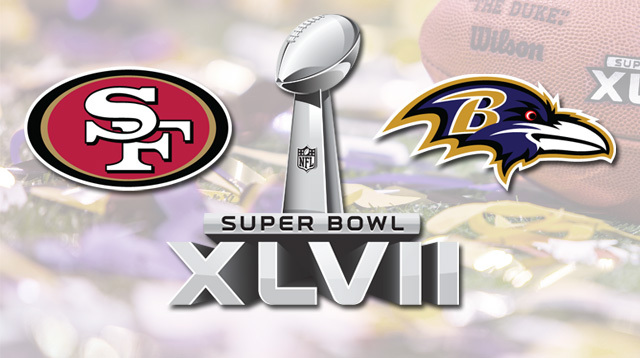 The Super Bowl game is largely a sideshow for mega marketing campaigns. That's not the way the game started out, but that's what it has become. Modern American culture is driven by money and excess, so you see game tickets going for $850 (seats still available!) and TV ads selling for exorbitant prices. Of course, some people do care about the actual game. 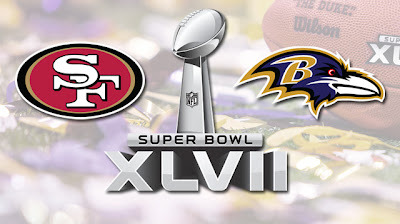 I've been a 49ers fan since I was a small kid and lived in the Bay Area, so I'll be rooting for them and against the Ravens. I like the whole Harbaugh vs. Harbaugh thing, but I really do not care for Ray Lewis and the Ravens. This will likely be a close game. San Francisco is favored by 3.5 right now. The Ravens are getting a lot of respect coming off road playoff wins against Denver and New England. I don't think they've seen the likes of the 49ers, who have a solid defense, a solid running game, solid receivers and a quarterback who can throw and run. Pumpernickel is the wild card in this game. I don't see how Baltimore can account for him. Of course, I may be wrong. We'll see. San Francisco 31, Baltimore 27. Is Session Beer the Future of Craft?